When trying to clone an existing part number, you encounter an error “Error Cloning Part. Part Already Exists”. This is likely caused by a system lockup or reboot while the system was cloning a part. 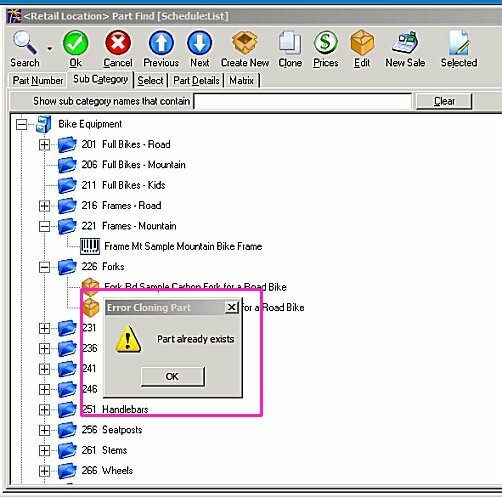 While still in the part Find, enter GENERATE in the Part Number field, then click either Search or OK. 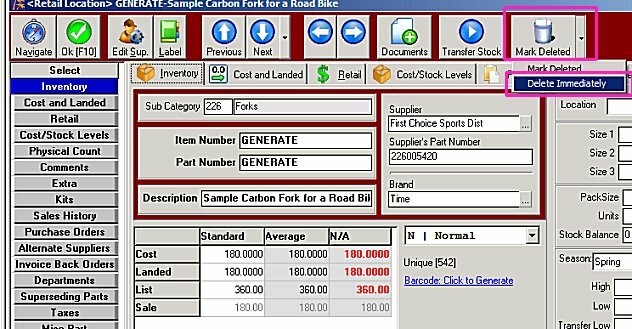 This will open the select tab, and show you the GENERATE part number. Highlight the number by clicking on it one time, and then click on OK to open it. Alternately you can double click on the item to open it. Once the part opens, select the little down arrow on the delete button, and select delete immediately. You should now be able to clone parts again.